I needed a different option the other day, when making lunch for a friend who can’t eat gluten. I just “breaded” the chicken with potato flakes. 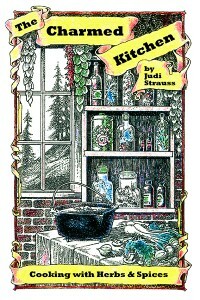 I sometimes use potato flakes as a gluten free thickener for veggie soups and the like. I have also used them as a coating for chicken and fish before. 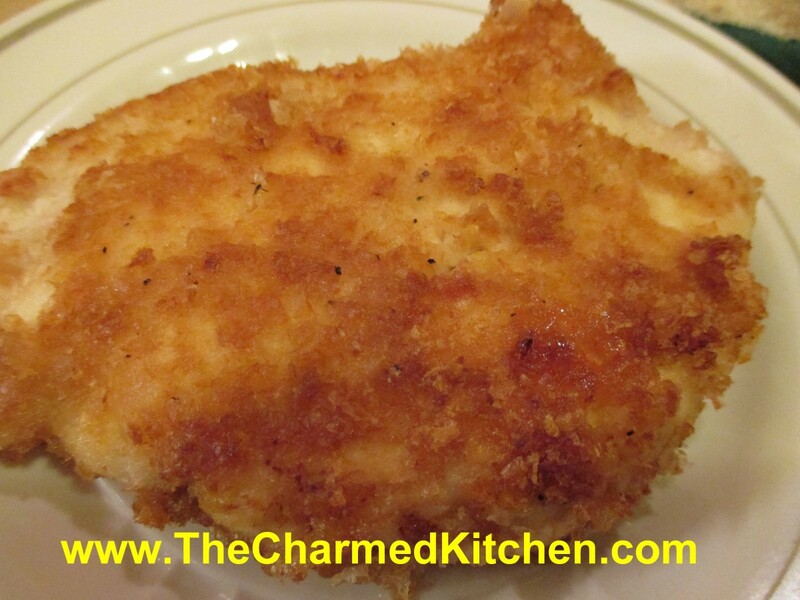 Even if you can have bread crumbs, the potato flakes are a fun way to coat chicken, fish or pork. They give you a nice, crispy crust. The chicken breasts I had were pretty thick, so I cut them into thinner pieces to help them cook faster, and more evenly. You could also cut them into nuggets, if you prefer. I pan fried, but you can also brown them a little, and finish in the oven, if you prefer. These wings are super crispy, even though they are baked in the oven, not fried. It may have to do with a rather unusual ingredient. I got this recipe from a local television show and have made it a couple of times now. Thanks, David Moss, for this one. The wings are coated with a little salt and baking powder. Yes, baking powder. I am not sure how it works, but the combination leaves you with wings that are super crisp on the outside and juicy inside. The only thing I changed from the original recipe, is that I use a little less salt. Once the wings are done cooking, you can toss them in whatever sauce you like. Cut wings into three pieces- discard tips, or use to make stock. Pat the wings dry. This step is important. The dry skin helps them to get crisp. Place baking powder and salt in a plastic bag and add the wing pieces, a few at a time, shaking to coat evenly. Continue until all the wings are coated. Place wings on a rack that is placed on a baking sheet. Bake wings in a preheated 250 degree oven for 30 minutes. Turn the heat up to 425 and continue cooking 45 minutes more. Remove wings from oven. 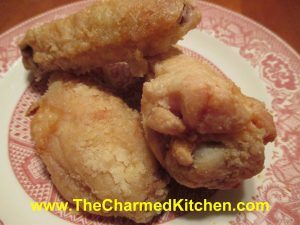 You can melt butter, mix with some hot sauce and toss the wings in that mixture, or just serve the wings with your favorite sauce. Rumor has it that chicken wings are one of the most popular appetizers served on Super Bowl Sunday. I don’t think you need to wait for a football game to enjoy these. 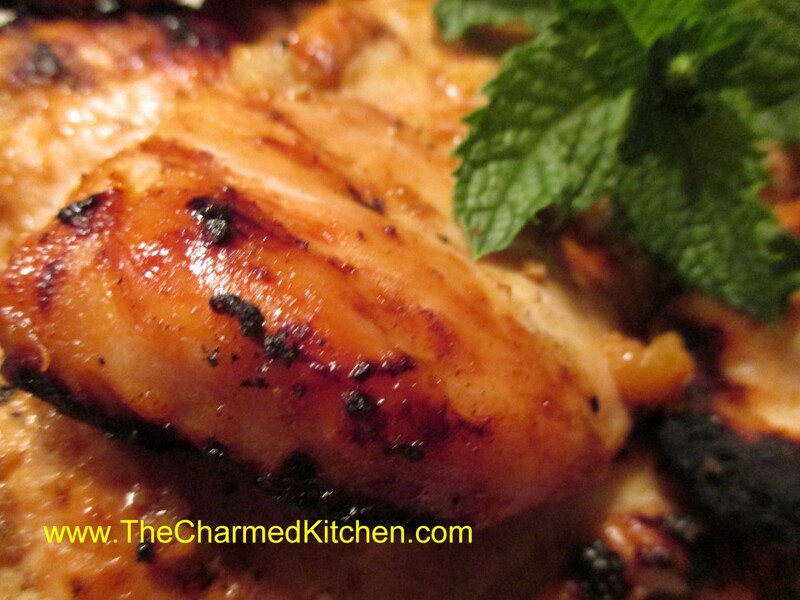 If you want something different than Buffalo Style wings, you might want to try this recipe. The wings are baked in a pineapple sweet and sour glaze. They are just the right combination of sweet, sour and a little salty. No matter who you are cheering for- your guests will cheer for these. They are pretty simple to make and you can even make them the day before, then just reheat before serving. 1 can (or jar) of pineapple chunks, drained, reserving liquid- I used a pint jar- if using store bought use the 20 oz. can. Preheat oven to 400 degrees. Place wings in pan and season with salt and pepper. Bake chicken wings in roasting pan for 20 minutes. Add the onions and pineapple chunks to the pan with the chicken wings and return to the oven for 30 minutes longer. While chicken is cooking combine the first seven sauce ingredients in a small pot and bring to a boil. Check baking pan for any juices- Spoon them out and add to the sauce. Combine pineapple juice and cornstarch in small bowl, stirring until smooth and add to the sauce. 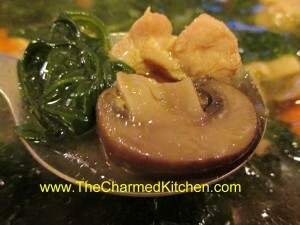 Return to boil and stir until sauce is thickened and bubbly. Pour hot sauce over chicken and return to the oven to bake 20-30 minutes longer or until wings look nicely glazed and sauce has started to brown. Serves 3-4. Cherries are one of my favorite fruits to cook with. Don’t get me wrong, I love eating cherries fresh. I bake with them and make sweet treats like jam. But, cherries are so wonderful when combined with different proteins. I love to pair cherries with duck, pork and chicken. 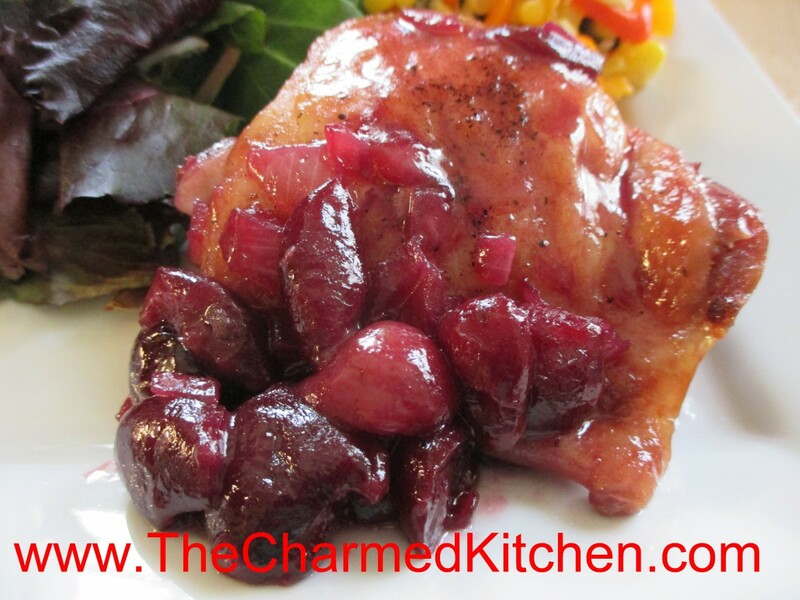 I think cherries add a special touch when added to main dishes. 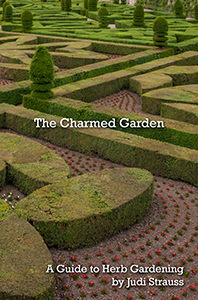 I have used them in any number of sauces, glazes, chutneys and marinades over the years. This time, I was looking for a way to dress up some chicken. I remembered that I had a pound of cherries in the fridge. I made the cherry mustard sauce while the chicken was baking. Here is what I did. To prepare the chicken: I had about 3 lbs. of bone-in chicken pieces. I seasoned them with salt and pepper and placed them in a 400-degree oven. I knew the chicken would take about 45-50 minutes to cook. I made the sauce while the chicken was cooking- sauce recipe follows. When the sauce was done, I left it in the skillet while the chicken finished cooking. When I took the chicken out of the oven, I removed the pieces from the roasting pan and placed them skin side down in the skillet with the cherry sauce. I turned the heat onto medium-high and turned the chicken a few times until both sides were coated from the cherry sauce and the sauce had sort of glazed the chicken. This would be a nice sauce to finish off grilled or broiled chicken, too. In large skillet, heat oil and cook onions until tender. Add the garlic and cook a few minutes more. Add the cherries and cook over medium- high heat for 3-4 minutes. Add remaining ingredients and turn heat down to medium. Cook until most of the liquid has evaporated, about 15 minutes. Stir occasionally. Adjust seasonings. This sauce can be used to glaze meats, or served on the side. I used it with chicken, but it would be wonderful with duck, turkey or pork, too. Makes about 3 cups of cherry sauce. There are foods I will always associate with my childhood. Chicken and dumplings is one of those dishes. 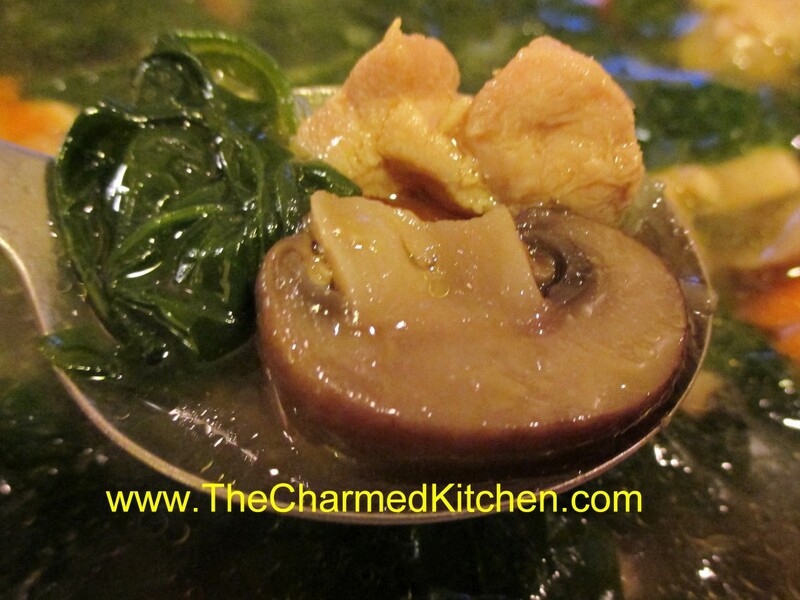 I can remember watching my Mom spooning the dumpling batter over the simmering pot of chicken and vegetables. She’d cover the pot and we would wait. When she uncovered it, the dumplings had puffed up, and pretty much covered the whole dish. It was magical to me. The dumplings were so tender and light. I can’t make this dish, all these years later, without thinking of her. I know there are other ways to make dumplings, and they are good. But for me, I still like the way my Mom made them the best. I think that is true for a lot of us. There are dishes that are as much about the memory as the flavor. So here is my Mom’s recipe for Chicken and Dumplings. Season chicken pieces with salt and pepper and dredge pieces in flour. Heat oil in large skillet and brown chicken pieces on all sides. Remove chicken pieces and sauté onion until tender. Add carrots, potatoes, broth and chicken to skillet and cook, covered, 20 minutes. Sprinkle herbs over the chicken. Combine baking mix with milk, parsley, chives and red pepper flakes and spoon batter in skillet in 8 mounds. Cover and cook over low heat 20 more minutes. Serves 4. *Here are two versions of the biscuit mix. Sift dry ingredients together 3 times. Cut in fat to resemble cornmeal. Keep in an airtight container. Store in a cool dry place and use within six months. Mix dry ingredients together well, then cut in butter. Store in fridge for up to 3 months and can be frozen for up to a year. Makes about 12 cups. There are foods I will always associate with my childhood. 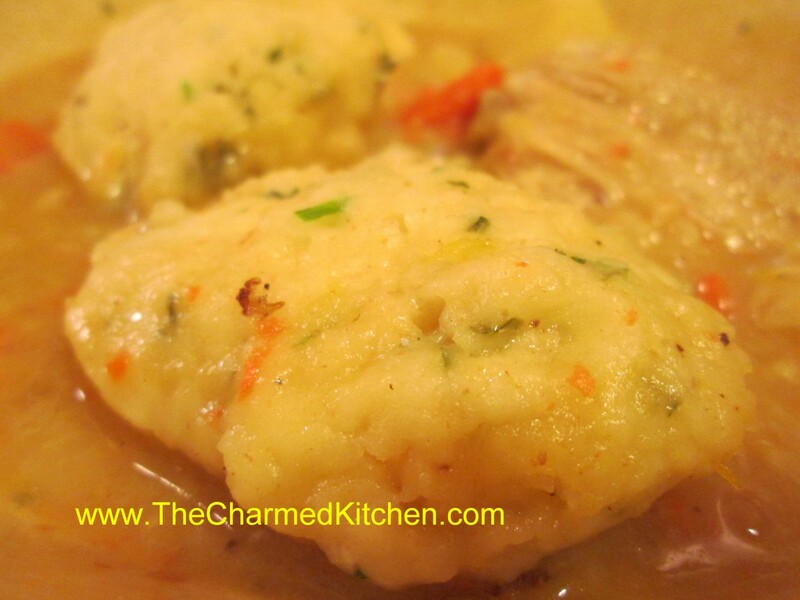 Chicken with dumplings is one of those dishes. I can remember watching my Mother spooning the dumpling batter over the simmering pot of chicken and vegetables. She’d cover the pot and wait. When she uncovered it the dumplings had puffed up and pretty much covered the whole dish. It was magical to me. The dumplings were so tender and light. I can’t make this dish, all these years, later without thinking of her. I love when local fruit is in season. 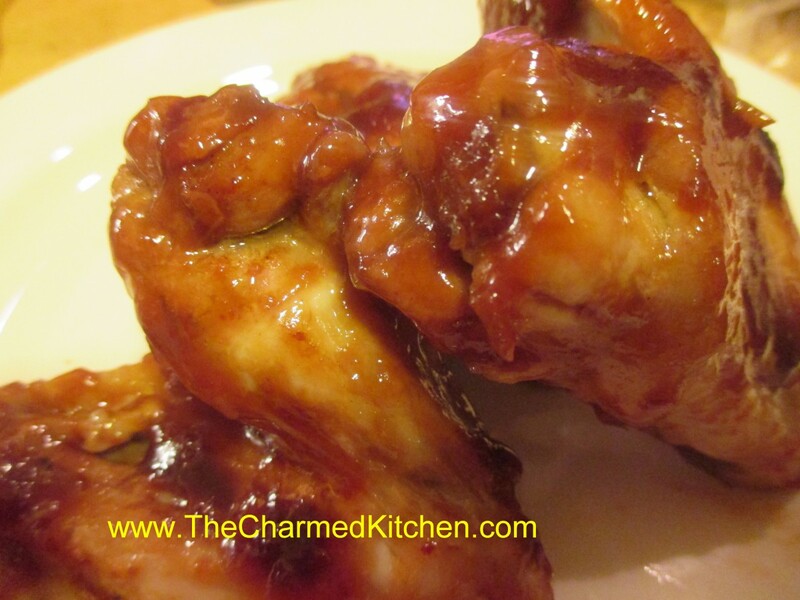 I found myself with lovely red plums and I decided to use some of them to make a sauce for chicken wings. I started by peeling the plums. You could leave the skins on, if you like, but I prefer them off. I put the plums in boiling water for a minute and then in cold water. The skins came right off. I removed the pits and pureed the plums- I ended up with a cup of fresh plum puree. From there it was a matter of creating the sauce. I minced an onion and cooked it in a little bacon fat- you could use butter or oil. I added a couple of cloves of minced garlic once the onions were tender. After that I added the plum puree, 1/4 cup of apple cider vinegar, a couple of tablespoons of honey, a tablespoon of hot sauce and salt. I let it cook for about 10 minutes to thicken and gave it a taste. It was pretty good, but needed something more. I added some fresh grated ginger and let it cook a few more minutes. It was wonderful. I decided to smooth the sauce out in the blender but it would be fine to leave it be. To cook the wings I just pan fried them. I cooked them in a skillet, covered for about 20 minutes, turning a couple of times. I poured the sauce over them and turned the heat down to medium. I let them cook, covered, another 10 or 15 minutes. 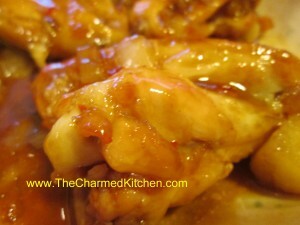 Once I was sure the wings were cooked through I uncovered them and let the sauce cook down and thicken a little. It created a nice glaze on the wings. Easy and very tasty. I ended up pureeing more plums and tossed them in the freezer so I can make this sauce again when the weather is chilly and no fresh plums are around. I found myself with an open can of crushed pineapple and I didn’t want to waste it. I have a number of baked dishes where I could have used it but I decided to go with a savory dish instead. I was getting together with friends to grill some chicken and ribs so I ended up making a glaze for the chicken with the pineapple. 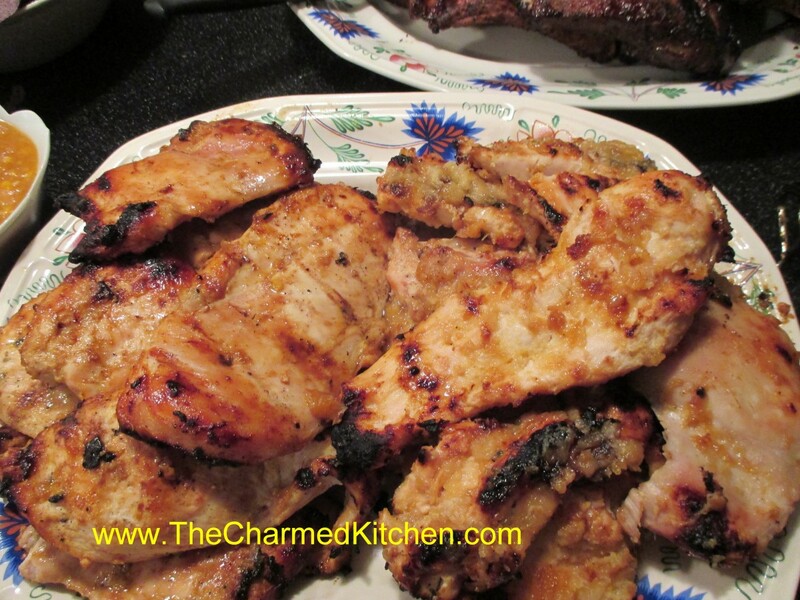 We marinaded the chicken in about half of the sauce and brushed the rest on while it was cooking. It added just the right amount of sweetness without overpowering the meat. Here is the recipe. In skillet saute onion in oil until golden brown. Add remaining ingredients and simmer until thickened, about 10-15 minutes. Adjust seasonings. Use as a sauce or glaze for meats.